EMO Continues Sponsorship of Classic and Gulf Coast Classic Company Show Jumping Events — The EMO Agency Inc.
EMO, the leaders in equine insurance, has returned to sponsor the award-winning Classic Company and Gulf Coast Classic 2017 show jumping events! 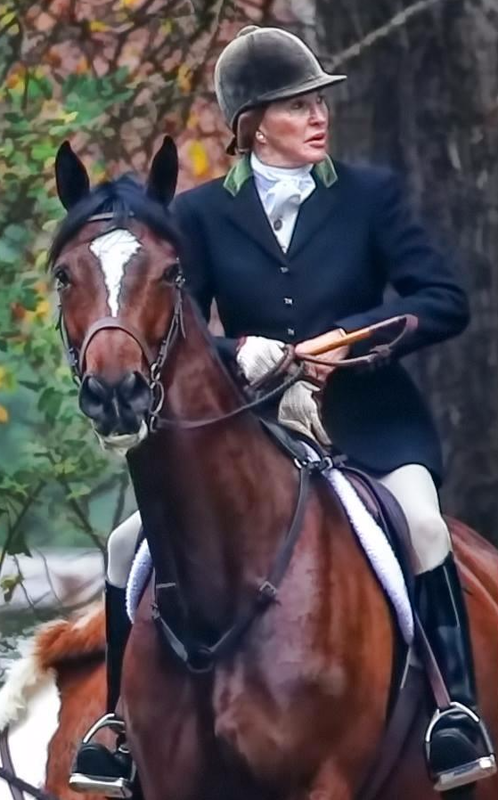 Sue Bopp, EMO Corporate Operations Officer, is also an avid horsewoman and fox hunter. EMO is the title sponsor of the upcoming $10,000 EMO Jumper Classic Week I, which takes place on Saturday night, January 16 at the Gulf Coast Winter Classic Pensacola Circuit. The Circuit kicks off January 13 at the Escambia County Equestrian Center in Pensacola, Florida, for three weeks of top show jumping and hunter competition. EMO will also be the presenting sponsor of the Atlanta Spring Classic's Week I $35,000 Grand Prix on March 25, 2017, the Atlanta Summer Classic's Week II Grand Prix June 24th, as well as the presenting sponsor of the Atlanta Fall Classic's Week I Grand Prix on November 11. "We continue to support the Classic shows because they run quality events and take care of their exhibitors. EMO supports that kind of partnership and is proud to sponsor their award-winning shows," said Sue Bopp, EMO Corporate Operations Officer. Top producer, Mike Moran, can be found at most premiere equestrian competitions in the country. Founded by horsemen for horsemen, EMO has been an integral part of the equine industry for 33 years. Their top three leading producers, in fact, are top competitors and work in all facets of the industry: Mike Moran, Sue Bopp and Martha Hall. EMO offers more than 15 insurance products and is currently in 47 states throughout the United States. "We are very thankful for EMO's continued support of the Classic Company shows," commented Bob Bell, president of Classic Company. "Their agents are directly involved in the horse industry and are well respected by farm and horse owners," he said. "Their customer service and product knowledge are second to none, and we are proud to have them on board." EMO believes that your horse is a valuable asset and considerable financial investment. Protecting that investment with equine insurance has been EMO's specialty for more than 33 years. Martha Hall, EMO top producer, fox hunts and competes in the show ring. They have earned a reputation for providing horse owners with the highest quality of coverage, best customer service and quick claim settlement. That's why so many horse owners, trainers and farm managers nationwide trust their insurance needs to EMO. Lauren Hester won last year's $10,000 EMO Jumper Classic with Hester Equestrian's Wender, at the Pensacola Winter Circuit. The Classic Company's philosophy is to offer an event for every level of rider and horse. From Lead Line to Olympic-level Grand Prix competition, from seasoned veteran horse-and-rider team to a first-time horse show experience, the Classic Company offers competition that provides the competitor substantial prize money, award-winning facilities and courses, quality competition and the best customer service in the industry. Service is what sets the Classic Company apart from other horse show companies. Consistently awarded the USHJA's Member Choice Award for providing excellent customer-friendly competitions, the Classic Company provides champion service from in-gates to show office at all its venues. Top competition with an emphasis on southern hospitality is their hallmark and the reason thousands prefer to compete at Classic Company-produced events each year. For more information contact info@classiccompany.com. For sponsorship and press inquiries, contact Lisa Engel. For program advertising opportunities, contact Drew Costa.